Get a massive 1,000W of thunder made to the specs of Stu Hamm. 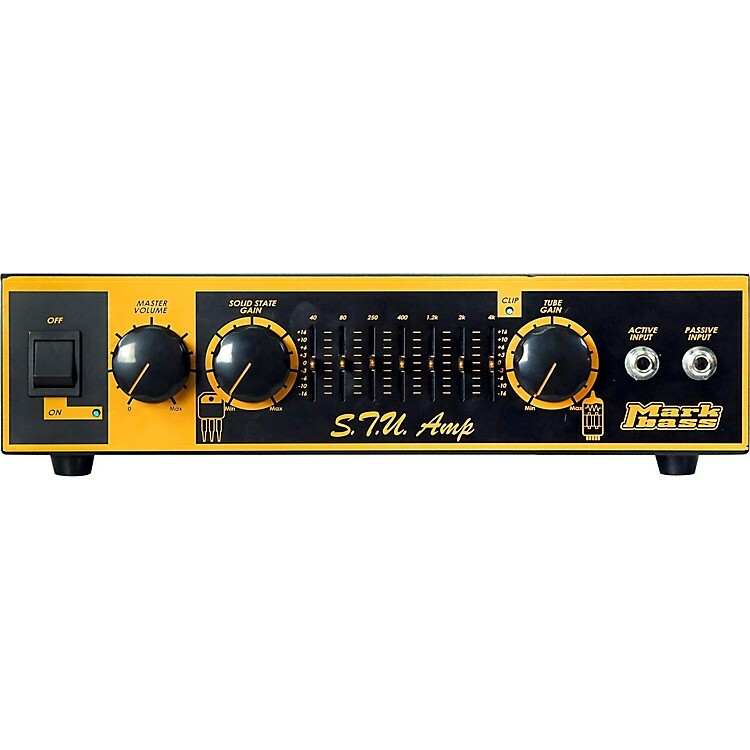 Stu Hamm is a real rocker and he wanted an amp dedicated to his articulated style but with simple/intuitive controls and with a “rock” size to fit the taste of loud guys like him on stage. The Markbass Stu Hamm signature amp features both a solid state and a tube preamp with separate level controls offering the clean attack of a solid state and the warmth and grit of a tube in a single unit with the mix option, plus a 7-band graphic EQ to tailor your bass tone to perfection. The massive real power of 1,000W from the MPT power amp allows to handle any kind of gigs, no matter how big the stage or how loud the band — this amp is always ready to rock hard! From a small club to Joe Satriani’s big stage: Rock your sound with the MB STU AMP 1000!